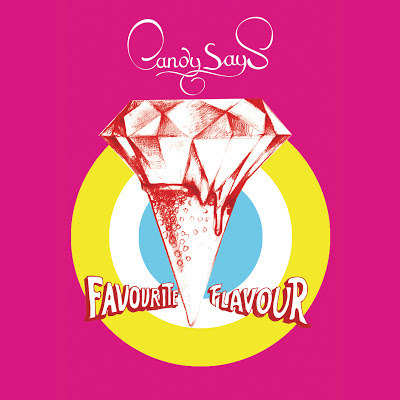 The Le Sigh: Track: Candy Says - "Favourite Flavour"
Track: Candy Says - "Favourite Flavour"
Candy Says' "Favourite Flavour" has all the makings of a good pop song. Candy Says are a lo-fi pop four piece from Oxford. Their new single, "Favourite Flavour," came out yesterday on Cool For Cats Records and is so cool for so many reasons. "Favourite Flavour" has all the makings of a good pop song: great hooks, a pounding chorus, and the ability to stay in your head all day. But what sets this song apart is a real focus on the smallest of details. Things start very simply, with a single drum and minimal synth. But as the vocal comes in, everything begins to open out. The percussion moves from the solemn sound of the bass drum to the more upbeat hit of the snare, giving momentum to the backing vocals as they weave around the lead melody. There is a wonderful subtlety to all these different components. With a contrast between the steady verse and the double-time chorus, the track climaxes into anthemic euphoria before falling one final time, delivering the beautiful lyrics, “love is like an addiction / love is like a stab in the heart." The single’s B side, "Melt Into The Sun," has vocals that channel the sultriness of Lykke Li but with added confidence. Juji Sophie’s lyrics are straightforward but are sung with an arresting conviction: “You can make my day / make me good for a moment.” The song acts as a great complement to "Favourite Flavour" with another infectious chorus in amongst a relentlessly exciting verse. Both songs show the band to be a real force to be reckoned with when it comes to writing beautifully constructed pop songs. I’m really looking forward to hearing what Candy Says are going to say next. Download Candy Says on bandcamp. Tilly Scantlebury, a student from London. She digs contemporary art, playing music, and winning arguments. She also likes long walks on the beach.